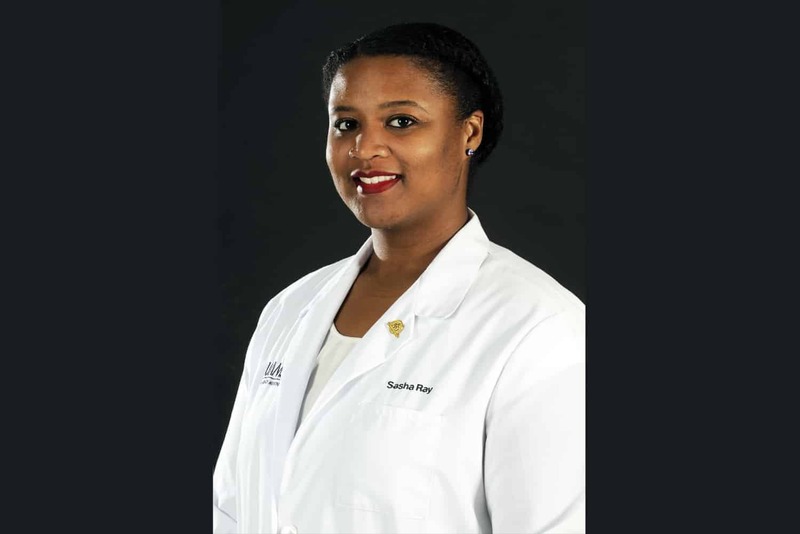 Sasha Ray, a third-year College of Medicine student from Little Rock, has been elected director for Region III of the Student National Medical Association (SNMA). She says she wants to give back to an organization that has supported her as she pursues her dreams. Sept. 22, 2017 | Sept. 22, 2017 | Sasha Ray, a third-year College of Medicine student from Little Rock, has been elected director for Region III of the Student National Medical Association (SNMA), the nation’s oldest and largest, independent, student-run organization focused on the needs and concerns of medical students of color. Ray was elected to the SNMA Board of Directors at the organization’s Annual Medical Education Conference in Atlanta in April. More than 2,000 medical and pre-medical students, physicians, exhibitors, administrators, government officials and observers participated in the conference. “SNMA is incredibly important to me, and I am humbled to be in a position to give back,” Ray said. Ray said the SNMA supported her at a time when she almost gave up on her dream of becoming a doctor. During a graduate school program that she hoped would increase her chances of getting into medical school, she was going to school by day and working nights. She was exhausted and barely making ends meet. During this personal low point, a friend pressured her to come to a national level SNMA meeting, even though she didn’t feel like she had the time or money to attend. Ray believes support, role models and early interventions are pivotal to increasing the number of minorities in medicine, in part, because those factors were part of her lived experience. Ray said that SNMA’s work in these key areas is already well-established. She is proud of its scholarships, discounts, mentorships, networks and programs that expose young people to medical careers. Her main goal will be to ensure that this mission continues to operate with efficiency. She will get the chance to communicate her ideas at the SNMA Regional Leadership Institute Sept. 22-24 at UAMS. Representatives of SMNA chapters from Texas, Oklahoma, Louisiana and Arkansas will attend. “We strive to allow students to envision a future for themselves and then give them the tools and resources and support they need to see that vision come to fruition,” Ray said. Billy Thomas, M.D., M.P.H., vice chancellor for diversity and inclusion and director of the Center for Diversity Affairs, praised Ray’s willingness to give back and ability to turn her own journey into an inspirational example for others. He said there is still much work to be done in the effort to increase minority representation in medicine. Ray is interested in surgery, health disparities and increasing the number of girls and minorities pursuing STEM education and medicine. She serves as the Minority Association of Pre-Medical Students liaison for the Edith Irby Jones Chapter of the SNMA at UAMS as well as the public health and wellness chair for the Urban League Central Arkansas Young Professionals. Ray attended Parkview Arts and Science Magnet High School in Little Rock. She earned a bachelor’s degree in biological sciences and African-American and diaspora studies at Vanderbilt University and attended graduate school at Hampton University in Virginia. In addition to her election as SNMA Region III director, Ray was awarded a SNMA Future Leadership Program Fellowship in fall 2016.